When I came into the world, I weighed less than a cat and was no taller than a cereal box. I was a miniature miniature horse. Too small to run with the herd, I had to look outside my world of horses to find the perfect playmate. My book features full-color photographs of my adventures and the adorable creatures I've met. This inspiring story about finding a true friend will bring joy to nature lovers of all ages. Click here to learn more about my book and order your copy! 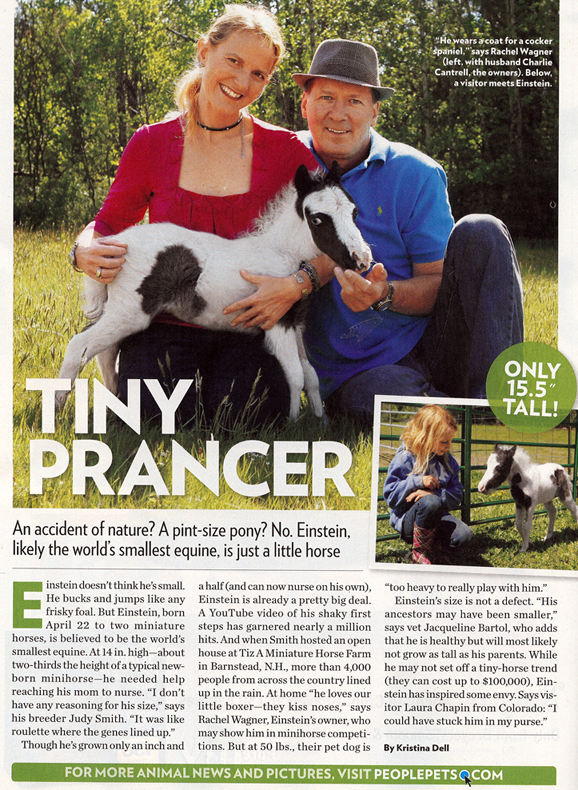 "A tiny horse is adorable. 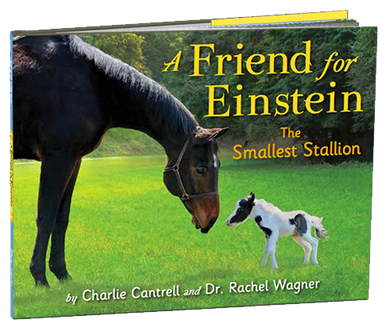 That is all you need to know about 'A Friend For EInstein: The Smallest Stallion "
I had so much fun in New York on Good Morning America with Robin, George and Juju. Lilly hugged George! Whoopi, Barbara, Joy and Elizabeth were so nice to me on The View! Whoopi fed me Graham Crackers! They made my tummy tickle. Click here to see some behind the scenes video! WOW! What fun I had at my first birthday party. Over six hundred friends showed up to surprise me at the Barnstead Elementary School in my hometown in New Hampshire. Lilly and I got to eat cupcakes!!! Click here to see a video of my birthday party! The authors have chosen to donate a portion of the proceeds from the sale of Einstein's book to the ASPCA Equine Fund. The ASPCA Equine Fund is devoted to promoting humane care and respect for horses. The fund provides support for a wide variety of efforts from caring for horses rescued from abuse to aiding wild horses in adverse conditions. For additional information on the ASPCA Equine Fund visit: ASPCA.org. Copyright MMXI. All Rights Reserved. Little Stallion, Llc.